At least at Warner Brothers it is. According to recent reports, the studio has passed on a massive deal from Ron Howard’s Imagine Entertainment that would have seen Stephen King’s fantasy epic both in theaters and on television screens as part of a multi-part movie/mini series combo. 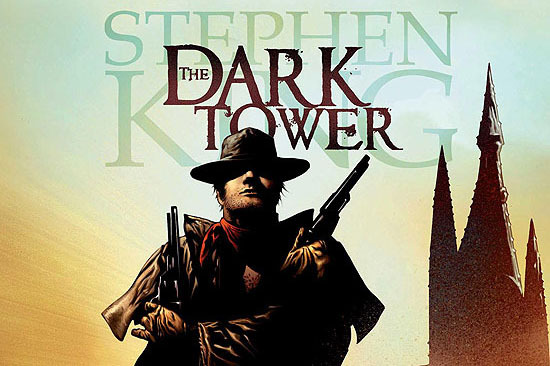 With Dark Tower already an epic book series featuring ancillary comic book materials, this deal would have made Dark Tower available on every story telling medium short of video games and interpretative dance (at least one of these is apparently in the works though). But do not fear for those of you who may think this is the death knell for seeing Dark Tower on the big screen. There are already rumors swirling that MRC (Media Rights Capital) may be stepping in to try to ink a deal for the property as reported by twitch film. We’re not sure if Ron Howard’s involvement with the project would carry over to MRC (more than likely it would), but we hope that it remains in good, non-Michael Bay hands if it does jump to MRC. For now, all we can do is wait and see what happens with Dark Tower’s limbo status. While we wait, why not stoke the fires and decide who should play Roland? Javier Bardem and Russell Crowe have been rumored to play the role, but why not throw some more unorthodox names into the arena? How about Timothy Olyphant? Or Guy Pearce? Or Hugh Jackman? Or Nathan Fillion? Or James Franco? Or not James Franco? Or just use a bunch of stock footage of Clint Eastwood from Unforgiven and Gran Torino? What do people have their money on? This entry was tagged Dark Tower Movie, Dark Tower Movie picked up by MCA?, Free Pizza, Is The Dark Tower Movie Dead?, Warner Brothers Passes on Dark Tower package, Who Will Play Roland In the Dark Tower Movie?. Yeah, I’m really hoping it lands on its feet at some studio. Thought that Game of Thrones’ success would get this greenlit. Guess not. Too bad.